the company “Equine Massage Maria Soroko – Equine Rehabilitation and Thermography School” was founded in 2008. The company is engaged in promotion of equine massage and the application of thermography in horses. Throughout its seven – year history, the company has been associated with organizing and developing courses on equine massage in equestrian centers. Two-day courses introduce the basis of sports massage, covering theoretical and practical aspects of the horse skeletal and muscular system, physiological functioning of the muscles, saddle fitting issues and a sports massage session. 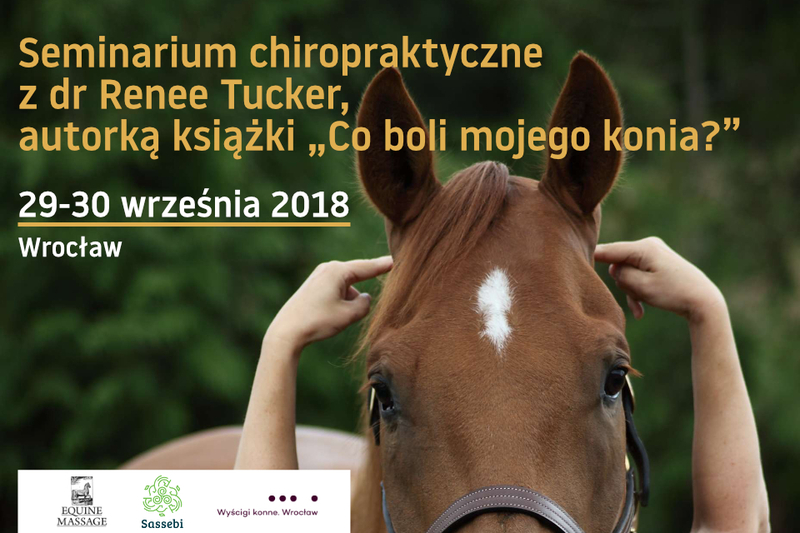 To date around 80 sports massage courses and workshops have been organized in a variety of equestrian centers and universities within Poland. The company also promotes the application of thermography in equine veterinary medicine and rehabilitation. Thermography is in practical use for detecting the impact of training and physiotherapy treatments (including massage) on the horse’s body. 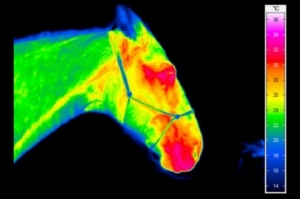 Thermography is also used in equine veterinary medicine. The company cooperates with veterinarians in horse diagnosis. On the topic of equine thermography,10 refereed papers and 20 other papers have been published. In January 2014 the company established cooperation with the Provate Training Institution in developing and conducting professional equine physiotherapy courses. The professional equine physiotherapy course is designed for students wishing to build a career in the field of equine rehabilitation, but is also regularly attended by veterinarians, physical therapists, chiropractors, human massage therapists and equine massage body workers who would like to enhance their skills or continue their education within their profession. After completing the course and required exams, students will be able to confidently apply a complete professional sports massage and will obtain a certificate of completion of the course. In Poland, the profession of animal body worker hasn’t been established and horse treatment can be performed by anyone, whereas in other European countries, America or Australia the profession is officially registered. More information about courses for professional equine physiotherapists and equine body workers can be found on Equine Massage Facebook website. The company cooperates with the Association of Sustainable Development, Wroclaw, Poland in promoting equine rehabilitation and thermography and in organizing courses, conferences and seminars on scientific research associated with equine physiology. Since 2008 the company, in co-operation with the Association of Sustainable Development, has organized and developed two-day workshops on Equine Massage within equestrian centers within Poland. 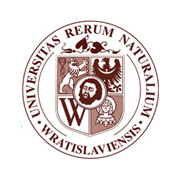 The company has also co-operated with Wroclaw University of Environmental and Life Sciences, the University of Technology and Life Sciences in Bydgoszcz, and the University of Life Sciences and University of Warmia and Mazury in Olsztyn in conducting lectures and courses on equine rehabilitation and thermography for postgraduate and undergraduate veterinary and animal science students. • cooperating with equine rehabilitation centers, racing centers, equine clinics, riding centers and breeding centers, and sport riding centers. Equine Massage invites equestrian centers and universities to cooperate in developing equine rehabilitation and thermography in science and practice by conducting common marketing activities, research studies, workshops, courses, seminars and conferences. • for animal husbandry students and veterinary students. In 2014 Maria Soroko become a member of the European Association of Thermology to promote applications of infrared thermography in equine science. The Association brings together researchers from research institutions, universities and also practitioners who conduct studies on the application of thermography both in clinical and experimental medicine. to encourage the exchange of ideas and experiences between national thermological associations. to assist in improving scientific research in the area of thermology and related disciplines in basic research, technology, industry, medicine and biology. to improve the respective understanding between practitioners of thermological techniques. to disseminate scientific results in the area of thermology within Europe. to initiate and support European research groups in the area of thermology. to create and expand contacts with non-European associations of thermology. to organise a European Congress of Thermology ever 3 years. Company business activity has developed in 4 directions: equine massage practice, equine thermography application, publications, education. Equine massage practice: The company has increased the number of clients, and also established cooperation with a number of equestrian centers for conducting regular massage treatments for sport horses. As part of an equine physiotherapy promotion, Equine Massage conducted seminars at three different equestrian meetings: „Considering the Horse” in Ściegnach, “Equine Manual Therapy” seminar for students from postgraduate studies of Animal Breeding and Biology Faculty, Wroclaw University of Environmental and Life Sciences, and for students from the course organized by the Polish Equestrian Association. 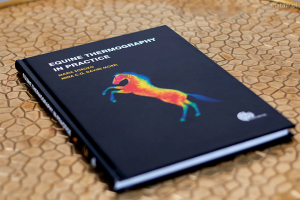 Equine thermography application: A big success for the company was publication of the book under the title: „Equine Thermography in practice”, author: Maria Soroko – owner of the company. The book is a compendium of the practical application of thermography in equine veterinary medicine and rehabilitation. Numerous cases are presented, combining thermographic examination with the practical application of manual assessment of the horse used in equine physiotherapy. Another big success for the company was the founding of the Association of Animal Thermography, Wroclaw, Poland, which promotes animal applications of infrared thermography and its use both in clinical and experimental medicine. The Association brings together researchers from research institutions, universities and also practitioners who conduct studies on the application of thermography in large animals (horses, cattle) or in small animals (dogs, cats, fur animals). Publications: In September one of the best veterinary journals – Journal of Equine Veterinary Science www.j-evs.com published the research paper: Soroko M., Dudek K., Howell K., Jodkowska E., Henklewski R.: 2014. Thermographic evaluation of racehorse performance. Journal of Equine Veterinary Science, 34(9):1076-1083. The paper was also presented at the 1st Seminar of Medical Infrared Thermography at the Royal Free Hospital, London, United Kingdom. In addition, articles about equine physiotherapy were published in equestrian magazines. The research paper Soroko M., Jodkowska E., Dudek K. Thermography diagnosis in monitoring annual racehorses’ training cycle has been accepted for publication in Veterinary Medicine. Also one overview paper Soroko M., Howell K. Thermography in equine medicine has been accepted for publication in Equine Veterinary Education. In the coming year there is a plan to publish further research papers about the application of thermography in equine veterinary medicine and rehabilitation. EDUCATION: Equine Massage organized regular equine massage courses (I and II level) at a variety of equestrian centers. For many years, these courses have been very popular within Poland. This year was a turning point for conducting professional courses. In January the company started cooperation with the Animal Physiotherapist Institution for developing and conducting together professional equine physiotherapy courses. The first edition of the equine physiotherapy course took place at the end of the year. Participants, after passing the internal final exams, received professional recogniction in accordance with the Regulation of the Minister of National Education of 11.01.2012 in Poland. As part of this cooperation an equine massage course was also organized. The Animal Physiotherapist Institution, together with the Polish Association of Animal Physiotherapists is applying to register a new profession – animal body worker – on the list of the Ministry of Labour and Social Policy. Equine Massage, together with the Association of Sustainable Development, signed a formal cooperation with The Faculty of Biology and Animal Science, Wroclaw University of Environmental and Life Sciences, for conducting scientific and research plans, educational programs, and realization of conferences, seminars, symposiums, lectures, courses and workshops. The University of Technology, Life Sciences in Bydgoszcz, and University of Life Sciences and University of Warmia and Mazury in Olsztyn also cooperated with Equine Massage in conducting equine rehabilitation and thermography courses. In December the company was present at Equestrian Fair – Cavaliadza in Poznan, Poland, giving a seminar on proper saddle fit and on the application of thermography in equine rehabilitation. The stand with information about the company service and the promotion of the book . : “Equine Thermography in Practice” attracted a lot of people. The coming year 2015 promises to be very successful in equine massage practice development, conducting courses, seminars and conferences and in the practical and scientific application of thermography in equine veterinary medicine and rehabilitation. We would like to thank everyone who is cooperating with Equine Massage for such a successful year and wish you all the best in the New Year! We wish everyone who is working as an equine physiotherapist and works with thermography a lot of successes in 2015. We hope to cooperate together in the near future. 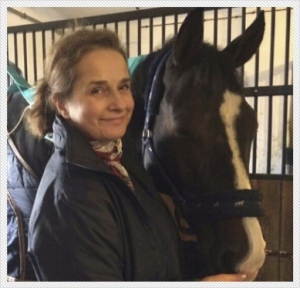 Dr. Maria Soroko – owner and director of the company “Equine Massage – Maria Soroko”, which offers equine rehabilitation and thermography services, professional courses and workshops associated with horse rehabilitation and the application of thermography in veterinary and sports medicine. Maria gained her PhD in Agricultural Science with a specialisation in Animal Husbandry from the University of Environmental and Life Sciences of Wroclaw, Department of Horse Breeding and Equestrian Studies in 2013. The phd dissertation considered the effect of long-term training on racehorse body surface temperature. Her Masters degree in Equine Science was completed in 2010 at the Institute of Biological, Environmental and Rural Sciences, Aberystwyth University, Wales, United Kingdom. Since 2008 the author has practiced thermography extensively in equine physiotherapy and in veterinary medicine, cooperating with veterinarians, horse breeders and trainers. Maria is also Founder and chairperson of the Association of Animal Thermography, Wroclaw, Poland, which promotes the animal application of infrared thermography and its use both in clinical and experimental medicine. Maria has many years of experience in equine physiotherapy, achieving qualifications as an Equine Body Worker in sport massage and remedial therapy. Maria is also a riding instructor at the British Horse Society. Her skills and experience were achieved both in Europe and Australia. In 2014 the company established a research team, founded by: owner and director of the Equine Massage company Dr Maria Soroko, Dr Kevin Howell – Clinical Scientist in Microvascular Diagnostics and an Honorary Research Associate at the UCL Institute of Immunity and Transplantation, Royal Free Hospital, London, UK and Dr Krzysztof Dudek – researcher from the Institute of Machines Design and Operation, Technical University of Wroclaw, Poland. The group has also expertise in the development of new thermographic techniques and quality assurance of thermal imaging for biomedical applications. • study design and statistical analysis of data. 2014 July: Presentation of research paper “Thermographic evaluation of racehorse performance” at the 1st Seminar of Medical Infrared Thermography at the Royal Free Hospital, London, United Kingdom. Soroko M.: 2014. Termografia Koni w Praktyce. Wroclaw, Association of Sustainable Development. In Polish, 105 pp., ISBN 978 83 939460 0 6. Soroko M., Davies Morel M.C.G. : 2016. Equine Thermography in Practice, CABI, United Kingdom. ISBN 13: 978 1 78064 787 6. Soroko M., Davies – Morel M.C.G., Howell K.: 2016. The application of infrared thermography in equestrian sport. In: Application of Infrared Thermography in Sports Science, Quesada J. I. P., editor. Springer Verlag, pp. 265-296. Soroko M.: 2017. Thermographic evaluation of racehorse performance. In: Innovative Research in Thermal Imaging for Biology and Medicine, Vardasca R., Mendes J.G. editors. IGI Global, pp. 264-286. JSoroko M., Cwynar P., Howell K., Yarnell K., Dudek K., Zaborski D.: 2018. Assessment of saddle fit in racehorses using infrared Thermography (IRT). Journal of Equine Veterinary Science 63:30-34. Soroko M., Howell K., Dudek K., Wilk I., Zastrzeżyńska M., Janczarek I. 2018. A pilot study into the utility of dynamic infrared thermography for measuring body surface temperature changes during treadmill exercise in horses. Journal of Equine Veterinary Science, 62:44-46. Kupczyński R., Śpitalniak K., Zwyrzykowska-Wodzińska A., Soroko M.: 2018 The influence of different workload trainings on some blood parameters in show jumping horses. Veterinarski Arhiv 88 (3), 279-293. Cwynar P., Soroko M., Kupczyński R., Burek A., Pogoda – Sewerniak K.: 2018. Pain and stress reactions in neurohormonal, thermographic and behavioural studies in calves. Conference on Computational Vision and Medical Image Processing, Porto, Portugal, 18-20 October 2017. Lecture Notes in Computational Vision and Biomechanics, Tavares J.M, Jorge J.N., editors. Springer International Publishing AG: Cham, Switzerland, 27:722-731. Soroko M., Howell K., Dudek K., Wilk I., Janczarek I.: 2018. Physiological changes of the horse musculoskeletal system during physiological effort measured by infrared thermography. Conference on Computational Vision and Medical Image Processing, Porto, Portugal, 18-20 October 2017. Lecture Notes in Computational Vision and Biomechanics, Tavares J.M, Jorge J.N., editors. Springer International Publishing AG: Cham, Switzerland, 27:1011-1014. Soroko M., Howell K., Dudek K.: 2017. The effect of ambient temperature on infrared thermographic images of joints in the distal forelimbs of healthy racehorses. Journal of Thermal Biology, 66:63-67. Soroko M., Howell K., Dudek K., Henklewski R., Zielińska P.: 2017. The influence of breed, age, gender, training level and ambient temperature on forelimb and back temperature in racehorses. Animal Science Journal, 88(2):347-355. Soroko M., Zaborski D., Grzesiak W., Parafiniuk M., Modrzejewski A.: 2017. Changes in udder skin surface temperature of dairy cows caused by machine milking. Folia Pomeranae Universitatis Technologiae Stetinensis, 332(42):163-173. Soroko M., Howell K., Zwyrzykowska A., Dudek K., Zielińska P., Kupczyński R.: 2016. Maximum eye temperature in the assessment of training in racehorses: correlations with salivary cortisol concentration, rectal temperature and heart rate. Journal of Equine Veterinary Science, 45:39-45. Soroko M., Jodkowska E., Dudek K.: 2015. Diagnoza termograficzna w monitorowaniu rocznego treningu koni wyścigowych. Medycyna Weterynaryjna, 71(01):52-58. Jodkowska E., Dudek K., Soroko M.: 2015. Temperature range analysis Tmax on dorsal surface of sporting horses. Turkish Journal of Veterinary and Animal Sciences, 39(2):229-232. Soroko M., Dudek K., Howell K., Jodkowska E., Henklewski R.: 2014. Thermographic evaluation of racehorse performance. Journal of Equine Veterinary Science, 34(9):1076-1083. Soroko M., Henklewski R., Filipowski H., Jodkowska E.: 2013. The effectiveness of thermographic analysis in equine orthopedics. Journal of Equine Veterinary Science, 33(9):760-762. Soroko M., Howell. K.: 2018. Infrared thermography: Current applications in equine medicine. Journal of Equine Veterinary Science 60:90–96. Zielinska P., Soroko M., Zwyrzykowska A., Kiełbowicz Z.: 2017. The use of laser biostimulation in human and animal physiotherapy – a review. Acta Veterinaria Brno, 86:91–96. Soroko M., Henklewski R.: 2013. The effectiveness of thermographic analysis in diagnosis orthopedic diseases in racehorses. Veterinary Magazine, 196(22):879-883. Soroko M.: 2013. Benefits of equine massage therapy. Zycie Weterynaryjne, 88(1):44-46. Jodkowska E., Soroko M.: 2012. The effectiveness of thermography in equine veterinary medicine. Zycie Weterynaryjne, 87(2):749-752. Soroko M., Jodkowska E.: 2011. Usefulness of thermography applied in equine veterinary medicine and in the equine industry. Veterinary Medicine, 67:397 – 401 (0,203 IF). Soroko M.: 2011. Compendium of thermography applied in the equine diagnosis, rehabilitation and management. Animal Production Review, 7:23-25. Soroko M.: 2011. Why is the passive stay apparatus limited to the horse? Animal Production Review, 4:29-30. Soroko M.: 2009. Equine thermography diagnosis. Lower Silesian Chamber of Veterinary Medicine Bulletin, 19,2(74):109-111.
with the strive to organize events. She offers educational courses from small groups to large audiences. Her company Sassebi is mainly focused on publishing horse books. The aim is to remain a holistic approach to horse maintance and treatment. equine physiotherapy practitioner. Her background education is M.Sc. in Animal Husbandry. Funder and director of the Rehabilitation and Regeneration Center for Horses near Wroclaw, where she runs her own practice. In her work she concentrates on holistc approach to patient, providing adequate type of treatment and recommendation for training. 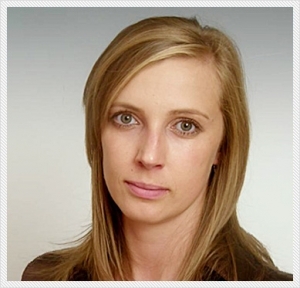 Katarzyna has been a lecturer in equine rehabilitation and massage courses since 2016.
biotechnologist, gained her M.Sc. at Poznan University of Life Sciences. Scholarship of Institute National Agronomique Paris Grignon. She works with Biomag, specializing in magnetic therapy application in veterinary medicine. Maria is a founder of Biomag Vet brand. She is also involved in running the equine physiotherapy courses. works at the Department of Equine Surgery at the Faculty of Veterinary Medicine at the University of Environmental and Life Science in Wroclaw (Poland). In her work she is focused on equine physiotherapy and rehabilitation. She specializes in treatment of equine orthopedic disease with High Intensity Laser Therapy (HILT) and Extracorporeal Shock Wave Therapy (ESWT). She also works in her private practice of equine medicine and rehabilitation in Opole (Poland). is a Clinical Scientist in Microvascular Diagnostics and an Honorary Research Associate at the UCL Institute of Immunity and Transplantation, Royal Free Hospital, London. He has over 20 years of experience in medical infrared thermography and has published more than 30 papers on infrared imaging topics including human and equine research applications. He also has a particular interest in quality assurance of thermography in biology and medicine. 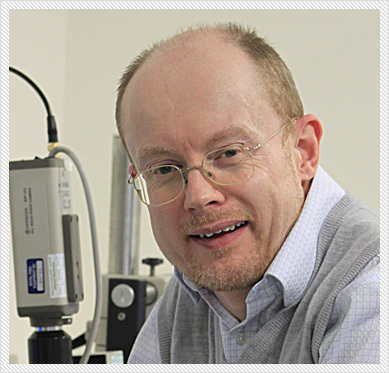 Kevin is a member of the European Association of Thermology. – researcher from the Institute of Machines Design and Operation, Technical University of Wroclaw, Poland. Specialist in statistical analysis. Horse massage treatment, for which the main function is to release fascial tissue to allow the horse’s body to work at its highest potential, with prolonged muscle relaxation freeing them from unnecessary tension and soreness. Thermography is as a non – invasive diagnostic imaging method detecting body surface temperature distribution. Thermography has found a broad range of applications in equine sport, veterinary and rehabilitation medicine. Veterinary medicine often fails to identify saddle fit as a problem, instead focusing on addressing the pain and lesions secondary to an ill – fitting saddle. Muscular back pain is frequently a secondary problem to an ill – fitting saddle. Equine Myofascial Release (MFR) – treatment in which the main function is to release fascial tissue to allow the horse’s body to work at its highest potential, with prolonged muscle relaxation freeing them from unnecessary tension and soreness. Myofascial release applies sustained pressure to the fascial system and has effects on the elastin and collagen. Treatment can also help improve circulation and reduce inflammation in joints and muscles. It can help your horse be more relaxed by relieving tension and reducing the risk of overusing other muscles that compensate for any discomfort. The treatment incudes manual assessment of the horse body to provide specific indicators to soft tissue injuries and also to detect saddle fit problems, training overloads etc. Treatment gives you noticeable results after the first treatment. Sports massage therapy – increases the ability of the horse in training and improves the function of the body. This massage regenerates muscles, increases flexibility of joints and ligaments, and accelerates metabolism. It also reduces stiffness and can help to speed up the natural repair of damaged tissue resulting from physical exercise. Improves circulation and, as a result, promotes more rapid healing. Pain, stress and muscle tension relief. Stimulates circulation in the lymphatic system and hastens the elimination of waste products. Maintains the entire body in better physical condition. Extends and improves the quality of the animal’s athletic career. When does your horse need massage therapy? All of these could be signs of pain or discomfort and should be investigated. If you are interested in massage treatment for your horse please contact me, I will be happy to help. Both internal and external factors have a significant effect on body surface temperature. Therefore thermographic measurement should be performed in a controlled environment and with a prepared horse. The thermographic examination should be performed indoors, in areas sheltered from the sunlight, in the absence of air drafts (Palmer 1981; Turner 2001). The temperature of the examination area should be cooler than body surface temperature, with the recommended ambient temperature maintained between 21°C to 26°C. The recommended acclimatisation time for the horse prior to imaging is 20 minutes (Purohit 2009). However a longer period of equilibration will be required if a horse is transported from an extreme cold or hot environment. High humidity should be avoided. The horse must have a clean, dry hair coat and skin and should be groomed at least one hour before the examination. Dry dirt can be brushed away approximately 10 minutes before scanning. The feet should be clean, picked out and brushed to remove external contamination. Hair coat should be short, of uniform length, and lay flat against the skin to permit thermal conduction (Turner et al. 1983). Blankets should be removed at least 30 minutes before thermographic examination, and any bandages should be removed at least two hours before imaging (Palmer 1981). Imaging should be performed prior to exercise. The horse should not receive any physical therapy within 24 hours prior to the thermographic examination, and should not have acupuncture in the region of the examination during the previous week. Any systemic or topical medications should not be applied prior to imaging, and any residues should be washed off the previous day (Turner 1991). Anti – inflammatory medications, vasoactive drugs, regional and local blocks, sedation and tranquilisation should be avoided because of their effect on superficial perfusion (Purohit 2009). Artifacts can be produced by any material on the body surface such as dirt, thick coat, scars and bands (Stromberg 1974; Palmer 1981). Pelvis area (sacral vertebrae) from dorsal aspect. The same examination can be repeated after work. Images taken will include parts of the body, for example to assess injury healing or rehabilitation effects. A proper saddle fit is essential for the comfort of your horse. Forelimbs lameness — tripping and stumbling. Traditional veterinary medicine often fails to identify saddle fit a problem, instead focusing on addressing the pain and specific anatomic lesions secondary to an ill – fitting saddle. Muscular back pain and over – riding spinous processes, hock or stifle arthritis, and tendon and ligament desmitis or tears are frequent secondary problems to ill – fitting saddles due to direct trauma of the back. Consultations in saddle fit with additional thermographic examination of saddle fit. The course covers the manual and visual assessment of the horse body including conformation and introduces a sports massage session. The main objective of the course is to gain knowledge and skills in the context of equine sports massage. The program includes theoretical and practical training on: horse biomechanics in the context of the work of muscles and manual / visual assessment of the horse. Course is introduced with a lot of practical sessions. The course has been designed to make it accessible for learning the practical skills necessary for regular work with horses every day. This course is designed for horse owners to learn skills in monitoring the health of their horses and students wishing to start their future career in the field of equine bodywork. The course is also attend by veterinarians, human massage therapists, equine massage therapists from other courses, trainers and yard managers who would like to enhance their skills or continue their education within their profession. • Manual and visual assessment of the horse. • Massage techniques applied for quick assessment of the horse and for the release of tension before and after exercises. • Basic sports massage session. The course covers 15 hours (7 h of theory and 8 h of practice). After completing the course the participant obtains a certificate. 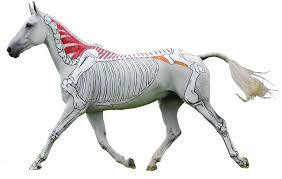 • Horse anatomy – introduction to the skeletal and muscular system. • Basic location of bones and muscles. • Demonstrating the key assessment areas of the horse body. • Visual and manual assessment of the horse before massage – presentation. • Group assessment of the demo horses (set up in groups). • Benefits of sports massage. • Key areas of assessment in five sections of the body. • Basic techniques in the massage – rocking the spine technique. • Massage session – neck and shoulder area. • Massage session – trunk and croup area. • Summary of practical sessions. Classes are conducted in a group of 10 participants. Dr. Maria Soroko – owner and director of the company “Equine Massage – Maria Soroko”, which offers equine rehabilitation and thermography services. 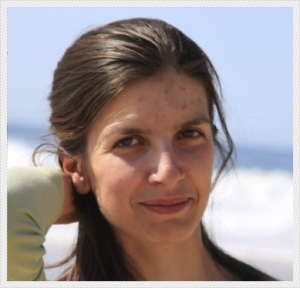 Maria gained her PhD in Agricultural Science with a specialisation in Animal Husbandry from the University of Environmental and Life Sciences of Wroclaw, Department of Horse Breeding and Equestrian Studies. Her Masters degree in Equine Science was completed in 2010 at the Institute of Biological, Environmental and Rural Sciences, Aberystwyth University, Wales, United Kingdom. Maria has many years of experience in equine physiotherapy, achieving qualifications as an Equine Body Worker in sport massage and remedial therapy. Maria is also a riding instructor at the British Horse Society. Her skills and experience were achieved both in Europe and Australia. Since 2008 she has practiced thermography extensively in equine physiotherapy and in veterinary medicine, cooperating with veterinarians, horse breeders and trainers. The program includes theoretical and practical lectures on: equine biomechanics, in the context of muscle physiology, updated manual assessment techniques, saddle fit issues. The course includes an extended equine sport massage session. Classes are conducted in a group of 10 participants. The course is for students who attended the equine massage level 1 course. • Demonstration of new assessment techniques of the horse. • Evaluation of posture in response to performance issues. • Practical session of horse assessment – new assessment techniques. • Sport massage session – new techniques. • Introduction to saddle fitting issues. • Saddle fit – practice. • Sports massage session – new techniques. Dr. Maria Soroko – owner and director of the company “Equine Massage – Maria Soroko”, which offers equine rehabilitation and thermography services. Maria gained her PhD in Agricultural Science with a specialisation in Animal Husbandry from the University of Environmental and Life Sciences of Wroclaw, Department of Horse Breeding and Equestrian Studies. Her Masters degree in Equine Science was completed in 2010 at the Institute of Biological, Environmental and Rural Sciences, Aberystwyth University, Wales, United Kingdom. Maria has many years of experience in equine physiotherapy, achieving qualifications as an Equine Body Worker in sport massage and remedial therapy. Maria is also a riding instructor at the British Horse Society. Her skills and experience were achieved both in Europe and Australia. Since 2008 she has practiced thermography extensively in equine physiotherapy and in veterinary medicine, cooperating with veterinarians, horse breeders and trainers. Maria is also Founder and chairperson of the Association of Animal Thermography, Wroclaw. This two-day course introduces the practical application of thermography in veterinary medicine, rehabilitation, in sport performance, and in saddle fit. The program includes the physical basis of thermography, equine anatomy and physiology necessary for thermographic image interpretation, preparation of horse and environment for thermographic examination and proper horse positioning. The course also focuses on how to choose and operate an appropriate infrared camera. • Introduction to equine thermal imaging. • The physical basis of thermography. • Thermoregulation of the horse. • Exchange of heat between horse body and the external environment. • The basis of body physiology. • Body surface temperature patterns of the healthy horse. • Thermal patterns of distal parts of the limbs. • Thermal patterns of head, neck, chest, croup and back. • The influence of external environment on body surface temperature distribution. • The influence of training on body surface temperature distribution. • Application of thermography in equine veterinary medicine. • Application of thermography in rehabilitation. 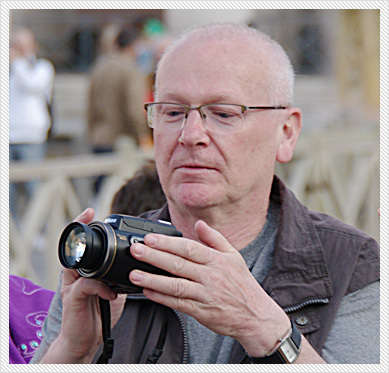 • Camera introduction – practical session. • Preparation of the horse for thermographic examination. • Preparation of the environment for thermographic examination. • Taking the right thermographic images. • Interpretation of thermographic images. • Saddle fit – thermographic examination. • Advantages and disadvantages of thermography. • Thermography as a complementary diagnostic tool to ultrasonography and radiography techniques. Po raz drugi mieliśmy zaszczyt gościć Gillian Higgins we Wrocławiu. Gillian przedstawiła nowy temat zrozumienia funkcjonowania układu kostnego i mięśniowego, treningu konia przy użyciu ćwiczeń gimnastycznych i pracy z kawaletkami wraz z prezentacją autorskiej techniki malowania koni, a także temat ćwiczeń rozciągających dla konia. Zostały przedstawione kwestie asymetrii konia, ocena jego chodów i postępy w treningu. Gillian zademonstrujowała również pilates dla koni. N konferencji gościliśmy 280 koniarzy z całej Polski. W lutym 2018 mieliśmy zaszczyt gościć we Wrocławiu dr Sue Dyson, która jest uznanym na całym świecie lekarzem medycyny weterynaryjnej. Jest autorytetem w dziedzinie ortopedii koni, specjalizuje się diagnozą kulawizn i słabych wyników u koni sportowych. Jest także ekspertem w diagnostyce obrazowej, w tym radiografii, ultrasonografii, scyntygrafii i rezonansie magnetycznym. Opublikowała w czasopismach naukowych ponad 230 artykułów, które są często cytowane. W roku 2000 otrzymała z ramienia British Equine Veterinary Association prestiżową nagrodę im. Johna Hikcmana za nadzwyczajne zasługi dla rozwoju ortopedii koni. Jak określić czy koń kuleje i której lub których kończyn dotyczy kulawizna? Znaczenie próby pod jeźdźcem w diagnostyce kulawizn i przyczyn słabych wyników konia. Kulawizny objawiające się jako sztywność grzbietu i szyi. Znaczenie dopasowania rzędu jeździeckiego do konia, jeźdźca i jego wpływ na dosiad jeźdźca. Diagnozowanie bolesności układu mięśniowo-szkieletowego na podstawie zachowania i mimiki konia pracującego pod siodłem. W jaki sposób znieczulenia diagnostyczne mogą wpływać na obraz kulawizny i jakość pracy konia. Na konferencji gościliśmy ponad 320 uczestników, nie tylko lekarzy medycyny weterynaryjnej, ale również właścicieli koni, jeźdźców, trenerów i fizjoterapeutów koni. 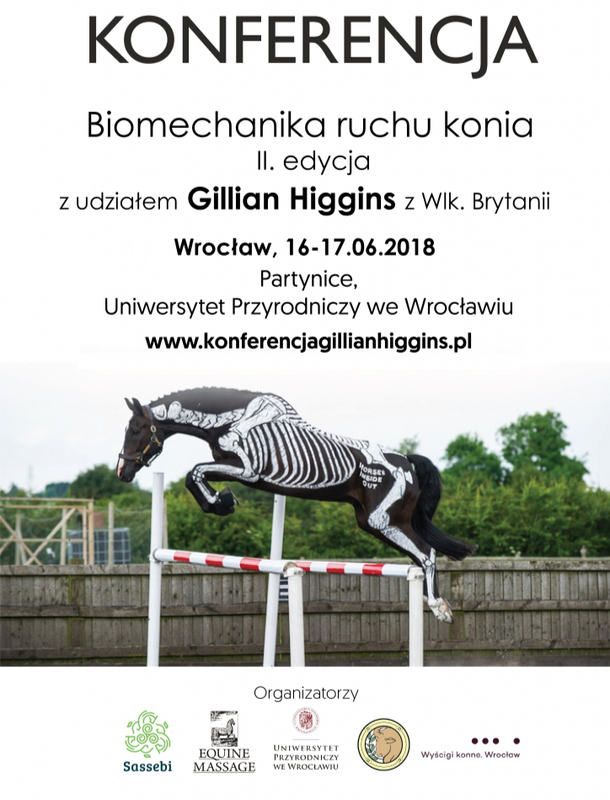 Prowadzącą konferencję była profesjonalna, sportowa terapeutka i rehabilitantka koni Gillian Higgins, założycielka Horse Inside Out. Gillian specjalizuje się analizą ruchu konia, z punktu widzenia praw mechaniki, mobilizacją pracy mięśni i poprawą wydajności pracy konia. Gillian prowadzi również szkolenia z zakresu biomechaniki konia na całym świecie dla: właścicieli koni, jeźdźców, zoofizjoterapeutów, siodlarzy, kowali, studentów wydziałów zootechnicznych, weterynaryjnych i dla wszystkich innych którzy pragną dowiedzieć się więcej o anatomii i biomechanice kania. Gillian przedstawiła temat badania i analizy ruchu konia z punktu widzenia praw mechaniki wraz z prezentacją autorskiej techniki malowania koni. Technika ta pokazuje, w jaki sposób poszczególne układy ciała współpracują ze sobą, wpływając na wydajność pracy organizmu. Wizualnie oryginalne i atrakcyjne malowanie konia pokazuje, w jaki sposób anatomia wpływa na metody użytkowania i szkolenia koni dla zmniejszenia ryzyka urazów. Gillian Higgins jest autorka kilku książek jeździeckich. Na polskim rynku jest znana z dwóch publikacji: „Anatomia i fizjologia w treningu konia” oraz „Jak porusza się Twój koń”. Regularnie publikuje w czasopismach ‘British Dressage’, ‘Horse and Rider’ i ‘Your horse Magazine’. Na konferencji uczestniczyło 300 osób m.in. trenerów, jeźdźców, właścicieli koni, a także zoofizjoterapeutów i lekarzy weterynarii. Mieliśmy zaszczyt gościć niezwykły autorytet w dziedzinie medycyny alternatywnej u koni – lek. wet. Joyce Harman. Prelegent jest założycielem kliniki Harmany Equine Clinic w Wirginii, USA . Pełniła funkcję prezydenta Amerykańskiego Stowarzyszenia Holistycznej Medycyny Weterynaryjnej (American Holistic Veterinary Medical Association), a także przewodniczącej komitetu Medycyny Alternatywnej w Amerykańskim Stowarzyszeniu Praktyków Koni (American Association of Equine Practitioners). Znana i ceniona ekspertka w swojej specjalizacji, posiada bogate doświadczenie w prowadzeniu wielu sympozjów i wykładów w USA. Jest autorką publikacji w czasopismach branżowych i naukowych. Po raz pierwszy w Polsce na konferencji zaprezentowano holistyczny aspekt konia w medycynie weterynaryjnej i sportowej. Temat konferencji pierwszego dnia obejmował zagadnienia medycyny alternatywnej, natomiast drugiego przedstawiono temat prawidłowego użytkowania konia zgodnie z jego biomechaniką ruchu i dopasowanie siodeł. Na konferencji uczestniczyło 200 osób m.in. lekarze medycyny weterynaryjnej, hodowcy, fizjoterapeuci, studenci wydziałów zootechnicznych, weterynaryjnych i pokrewnych. “Equine Thermography in Practice” is a compendium of the practical application of thermography to equine veterinary medicine and rehabilitation. Currently, thermography is one of the most rapidly evolving equine diagnostic tools. Intensive training of horses is associated with significant physical demands on the musculoskeletal system, contributing to a high incidence of injury. Injury causes changes in blood circulation and thereby changes in body surface temperature. Thermography can detect these changes in body surface temperature and hence be used to diagnose and monitor injury, disease and work overload of the musculoskeletal system. This book aims to provide a valuable source of reference for equine thermographers, veterinarians, equine therapists and body manipulators as well as farriers, equine podiatrists, saddlers, riders, trainers and other para-professionals in the equine industry. As a reference text book it will also prove useful to students of veterinary medicine, animal/equine science and husbandry, as well as students of other courses where equine science is studied. This book is the first publication on the equestrian book market which extensively discusses equine thermography issues and its use in equine diagnosis. 3.2.4. What should be considered in thermographic image interpretation? Aim: The present study was aimed at identifying the key thermographic diagnostic areas essential for monitoring the effect of training on racehorses. Method: The study involved monitoring 15 racehorses in 13 imaging sessions over a period of 10 months. Temperature measurements were made at a total of 46 regions of interest (ROIs) at the distal parts of the limbs and the back. In order to account for the influence of ambient temperature on each ROI measurement, values were adjusted to a constant ambient temperature of 12C, estimated using regression analysis. The horses in the study were divided into two groups based on the value of success rate in racing competition. Results: During the research period none of the horses were identified as injured by routine veterinary investigation. Successful horses had significantly warmer adjusted ROI temperatures than their less successful counterparts at both carpal joints, the 3rd metacarpal bones, the left fetlock joint, the left front short pastern bone, the left tarsus joint, and the caudal part of the thoracic vertebrae. Conclusion: The study tested a protocol for recording body surface temperature in racehorses which was shown to increase reliability by adjusting for variations in ambient temperature. When analyzed on the basis of sporting performance, the protocol identified 14 ROIs that were associated with superior performance, the majority of which were at the limbs on the left side. Fig. 1. Thermogram of dorsal aspect of distal part of forelimbs. Measured ROIs: DF1 – right carpal joint, dorsal aspect; DF2 – left carpal joint, dorsal aspect; DF3 – right 3rd metacarpal bone, dorsal aspect; DF4 – left 3rd metacarpal bone, dorsal aspect; DF5 – right fetlock joint, dorsal aspect; DF6 – left fetlock joint, dorsal aspect; DF7 – right short pastern bone, dorsal aspect; DF8 – left short pastern bone, dorsal aspect; DF9 – right hoof, dorsal aspect; DF10 – left hoof, dorsal aspect. One of the main advantages of equine thermography is the detection of subclinical inflammation. The present study was undertaken to determine a specific threshold value of temperature change indicative of subclinical inflammation of the lower parts of the horse’s limb. The study involved monitoring 20 racehorses over a period of 10 months. Temperatures of the third metacarpal region were measured every 3 weeks, allowing the average temperature differences to be ascertained between the same areas of forelimbs from the dorsal and palmar aspects in each session. Additionally, ultrasonographic and radiographic standard examinations of lower part of forelimbs were conducted to diagnose any pathological conditions of lower forelimbs. To determine the threshold value of temperature difference the receiver operating characteristic curve method was used, based on thermographic examinations of the same measured area in 20 horses. The threshold value of temperature difference indicative of subclinical inflammation was found to be 1.25_C. In conclusion, thermography can be used as a quick and practical diagnostic tool of subclinical inflammation. These results provide additional support from the continued study of the equine thermography. Fig. 1. Thermography image of palmar aspect of lower part of forelimbs. Examined areas on symmetrical lower part of forelimbs from palmar aspect are shown. Measured lines: L1 – proximal part of IIIed metacarpal bone; L3 – middle part of IIIed metacarpal bone; L5 – distal part of IIIed metacarpal bone. The length of each vertical line is equal to vertical lines A, B, C which divide superficial digital flexor tendon (SDFT) into three measurement areas (A, B, C) for ultrasonographic examination. Results of previous studies indicate the possibility of determining the impact of training on horses’ body surface temperature. The study was aimed at identifying the usefulness of thermography in monitoring annual training cycle of racehorses. The study involved 64 clinically healthy racehorses trained for flat racing in the 2011 and 2012 seasons. The study was based at measuring body surface temperature of the lower parts of forelimbs and back in 13 sessions in each season for a period of 10 months. On 3,328 thermographic images 24 regions of interest (ROI) were determined. In each ROI the average temperature was calculated (Tavg ° C). The surface temperature of the distal parts of forelimbs and the back measured at rest was increasing with each session, which was related to duration of the training cycle. The thermographic diagnosis was useful in monitoring changes of the body surface temperature in training cycle and in detecting injuries caused by training overloads. Fig. 1. Thermogram of dorsal aspect of back. Measured ROIs: B1 – cranial part of thoracic vertebrae dorsal aspect; B2 – caudal part of thoracic vertebrae dorsal aspect, dorsal aspect; BL1 – left side of thoracic vertebrae, dorsal aspect; BR1 – right side of thoracic vertebrae, dorsal aspect; B3 – lumbar vertebrae, dorsal aspect; B4 – sacroiliac joins. The aim of the study was to define efficiency of thermography as a complementary diagnostic method for lower part of forelimbs diagnosing during training cycle of racehorses. The study was conducted on 20 horses on which during the period of 6 months three examinations of thermography, USG and RTG of lower part of forelimbs were taken at the same time. The average temperature differences were measured from the dorsal and palmar views of the metacarpal bone in the same areas of the right and left forelimbs. The ultrasonography of the field cross-sectional area of the superficial digital flexor tendon detected differences between the same areas of metacarpal bone in right and left forelimbs. The radiography detected differences between the metacarpal bone cortex thickness in those limbs. For comparisons of three examinations results, rang Spearmana correlation coefficient was used. Thermography and USG examinations were correlated in diagnosis of clinical signs of inflammation and there for can be used alternately. RTG examinations correlated with themography in the final stages of the inflammatory processes. Fig 2. Radiographic image of lateral aspect of the left metacarpal bone. Thermography has been used for the diagnosis of skin temperature variations caused by overloads of the musculoskeletal system. The present study was aimed to evaluate the efficiency of thermography in monitoring racehorses’ musculoskeletal system response of back overloads due to increasing intensity of training cycle.. The thermographic examinations of 20 racehorses’ back were performed at Partynice Racing Track (Poland) every 3 weeks in twelve sessions during a period of 10 months. The back was divided into 5 areas: thoracic vertebrae (T), lumbar vertebrae (L), sacroiliac join (SIJ), and symmetric sides of the thoracic vertebrae area left side (ML) right side (MR). From each area the average temperature was measured. For statistic analyses the nonparametric Kruskal – Wallis test was used. An increase in the training intensity resulted in significant decreases in average temperature differences between T and L, T and SIJ, T and ML and T and MR. Constant training overloads of the musculoskeletal system under demanding exercise resulted in increased blood circulation of a back. The analysis of the surface temperature distribution over the horse’s back will allow to develop a model of blood circulation within this area in intensive training cycle. It will help specialists, breeders and veterinarians to analyse the fundamentals in physiological response of the musculoskeletal system to intensity of training. These results provide additional support for the continued study on the equine thermography. Fig. 1. Thermogram of the back from dorsal aspect. Inflammation of the back muscles in the thoracic vertebrae area. Fig. 2. Thermogram of the back from dorsal aspect. Inflammation of the spinous processes of the thoracic and lumbar vertebrae. Thermography may be used as an effective tool for lameness detection in sport horses. The main advantage of thermographic diagnosis is predicting lameness before clinical signs occur. The main objective of the study was to assess the usefulness of thermography for trainers monitoring horse’s limbs. The study was conducted on 14 Polish Halfbred (sp) and 14 Arabian (oo) acing horses. Thermographic images of lower part of the limbs once per week for 6 weeks, were recorded. The temperature differences between symmetric parts of limbs were compared. For the analysis a Student’s t test, was applied. It was demonstrated that in 24 horses no changes occurred, and no lameness or associated problems, were reported. One of the remaining four horses demonstrated the forelimb overload, possibly associated with past injuries. Thermography assessment may be helpful for monitoring an intensive training of horses. Fig 1. Horse nr 1. Forelimbs from dorsal aspect, V session. Ambient temperature: 18.8°C, humidity:71.5%. Thermography is a noninvasive diagnostic method which detects infrared radiation emitted from the body surface. Detecting of body superficial skin temperature allows thermography to monitor pathological conditions of horse’s lower part of the limbs. The main advantage of thermography is detection of pathologic conditions for sore shins and inflammation of superficial digital flexor tendon before they become evident. Fig. 1. Thermogram of the distal part of the right and left forelimbs from dorsal aspect. Clinical inflammation of the right and left 3rd metacarpal bone. Thermography has fund a broad range of application as it is able to measure surface temperature. It has been seen studied as a useful diagnostic tool in veterinary medicine. Detecting of superficial skin temperature allows it to monitor pathological conditions of horse’s limbs and spine. The main advantage of thermography is detection of pathologic conditions before they become evident, providing extreme value in veterinary medicine diagnosis. Thermography is used in monitoring influence of different medicines on superficial skin temperature distribution. It has also found application in horse breeding and in equine sports industry. Fig 1. Thermogram of the distal part of the left and right forelimbs from palmar aspect. Inflammation of the superficial digital flexor tendon of the left forelimb. JOURNAL: Życie Weterynaryjne, 2012, 87(2):749-752. The interests of equine body superficial temperature distribution, is useful in understanding the fundamental physiological changes in response to external environment, training overloads and pathological conditions. Usefulness of equine thermography has been proved in the aspect of training, management and veterinary diagnosis, including pathological conditions associated mainly with inflammation processes. Thermographic images distribute the map of body superficial temperature determining the warmest and the coldest area on the horse’s body. The body superficial temperature is changing in response to external environmental conditions and physiological effort. The left to right body symmetry of the superficial temperature distribution were indicated. That allowed to diagnose unilateral pathological conditions mainly associated with orthopedic and spine diseases. It was found that the main advantage of equine thermography is the detection of subclinical inflammation. Fot. 1. Thermogram of the ledt lateral aspect of the horse. The warmest areas of the body are presented in white and red colors, yellow and green colors present cooler areas, blue and navy colors represent the coldest areas of the body. Introduction: Thermography is non-invasive and non-contact diagnostic tool, which detects infra-red radiation emitted from body surface, mapping superficial skin surface temperature. It has been studied that the main advantage of thermography is detection of early subclinical signs of inflammation. In many studies thermography was used for lameness diagnosis of young racing horses, which are put under extreme physical demands causing many injuries especially of lower part of the front limbs. It is associated with overloading of musculoskeletal system resulting in lameness and performance loss. Thermography has been found as a useful equine diagnostic tool in recognizing of unilateral abnormalities such as: navicular syndrome, laminitis, inflammation of tendons, carpus and tarsus joints. It has been study that thermography can indicate subclinical signs of inflammation before clinical signs become evident, playing an essential role in preventing lameness in racing horses. Objective: The objective of the study was to predict subclinical signs of pathology inflammation associated with intensive training of young Polish Halfbred (sp) and Arabian (oo) race horses during training cycle applying temperature analysis of lower part of front limbs for bilateral pathology. Materials and Methods: The study was based on 20 flat racing horses (12 sp and 8 oo) in age of 3 years, kept in Training Centre. Thermographic images of lower part of front limbs from cranial view were taken every third week for 6 months (for 12 sp) and for 4 months (for 8 oo). Environmental conditions were recorded during each session and included the ambient air temperature and humidity inside the yard. During the measurement period the thermal images were regularly discussed and compared with trainer’s concerns and observations. Thermography camera VarioCAM equipped with an uncooled microbolometer focal plane arrays (FPA) detector, with geometrical resolution of 640 x 480 pixels made by InfraTec was used for comparing average temperatures of symmetrical areas of lower part of the limb. The 32 bit software suite IRBIS 3 Professional program, InfraTec company was used for the analysis of thermographic images. Environmental temperature and humidity was measured by a digital psychrometer model C200, produced by Lufft Company. The symmetrical areas of the lower part of the limb : carpus joint (X1- right, X2- left) metacarpal bone (X3- right, X4 – left): long pastern, short pastern bone ( X5- right, X6-left) hoof (X6- right,X7-left) from cranial view were identified and analyzed for average temperature differences for each horse during research cycle. The results were analyzed using a Student’s t-test to compare average temperature differences of each area between symmetrical right and left measured area of each horse. The level of significance was determined as (0,05), great significant (0,01), most significant (0,001). Results: From the total 20 horses : 16 showed no changes in their soundness, and no lameness or other associated problems were reported for these horses over the period of investigation. Remaining 4 horses demonstrated subclinical signs of inflammation caused by sore shire in the area of the metacarpal bone. During the cycle research Horses A,B,C and D in the sessions: III -VI indicated constant increased temperature of the right and left metacarpal bone indicating early stages of inflammation process. Inflammation of bilateral metacarpal bones was confirmed by veterinary between IV and V session. In case of Horse D in session IV area of the right metacarpal bone had statistically increased temperature, indicating subclinical stages of inflammation. Inflammation process in the area of the right metacarpal bone were confirmed by veterinary between V and VI session. In VII session area of injured metacarpal bone of A,B,C,D Horses demonstrated decreased of the temperature, indicating healing process what was confirmed by veterinary. Summary: Applied method of comparing average temperatures value of symmetrical areas , monitored during the research cycle allowed detection abnormalities also in case of their bilateral accrue of symmetrical areas. Thermography assessment accelerated identification of subclinical signs of inflammation, about 4 weeks before clinical signs has occurred. Current study proofed that infra-red diagnosis is useful in detection of pathology when images are taken regularly, within a specified period of time and they are properly interpreted. It will help in protection and identification of lower limb pathology. © 2013-2017 Szkoła Rehabilitacji Koni Equine Massage. All rights reserved. Designed by www.wojciechkozlowski.pl Ostatnia aktualizacja 11.05.2017 r.